E-book: Available at Amazon, Barnes&Noble, Google Play, Kobo, iTunes and other e-bookstores. Trade Paperback Edition: Available for $16.99 through your favorite bookstores. ISBN-13 is 978-0692356654. Within her ordinary city lurks extraordinary magic. Programmer Dorelai Trelton desperately wants to escape the relentless bad luck that hounds her. 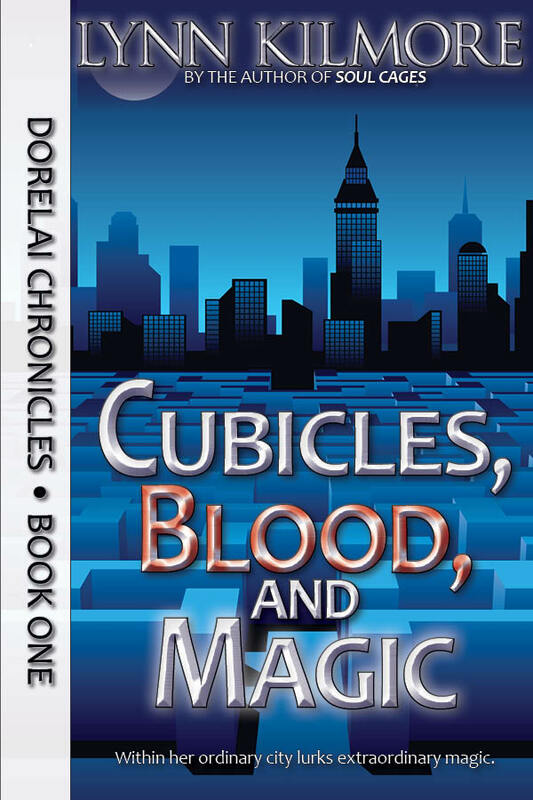 The software company she works for is on a death spiral to layoffs, her boyfriend stalks her, and now someone secretly dosed her with a magical poison called “nightmare dust.” Unfortunately, her poisoning makes it possible for her to see every hidden magical secret within her city. Secrets that others will hurt her for … even kill her for … if the nightmare dust fails to kill her first. Scroll down this page if you want to read the novel chapters that have been posted.